A superb plant for anywhere you want color in your shade garden. 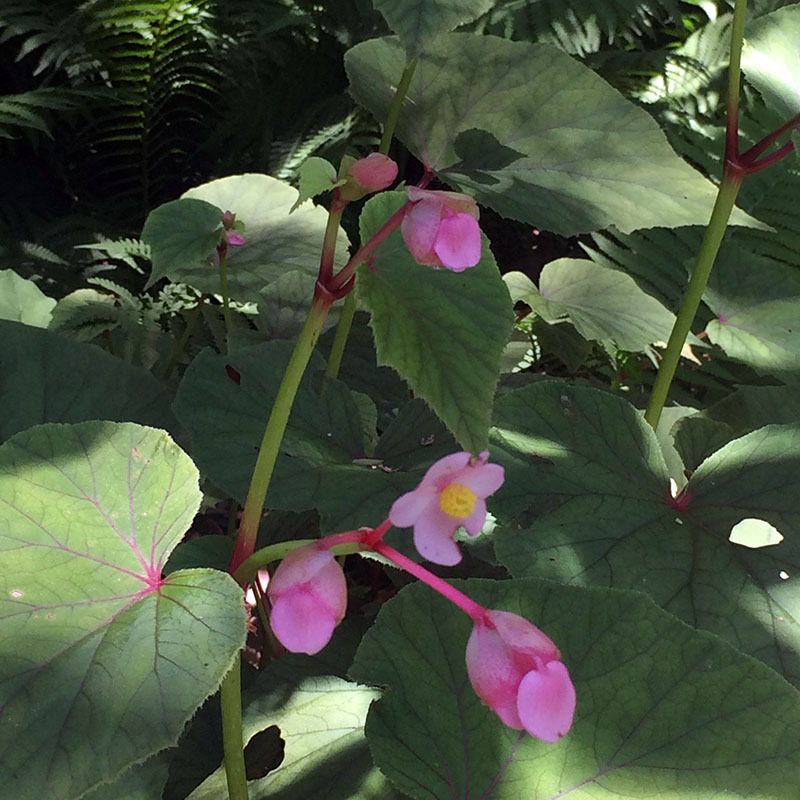 Delicate rose-pink flower sprays bloom summer into fall over large, heart-shaped leaves with colorful undersides. Attracts hummingbirds. Spreads by tiny bulblets forming large colonies. Full-part shade. Can take dense shade. Full sun will scorch the leaves. Average to moist soils. Height 1-2’. Spread 1-2’. Deer, rabbit, and black walnut resistant. Zones 6b-9.